Although many areas of South Lakeland are considered affluent, there are still pockets of deprivation and rural isolation, and a lack of affordable leisure activities for young people. 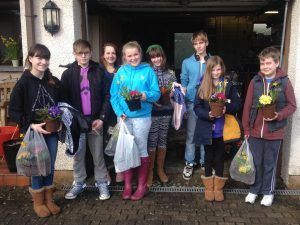 The Kent Estuary Youth (KEY) Project works with young people in Arnside, Levens and Milnthorpe, and received £3,500 from the Cumbria Young People’s Fund and Holehird Trust to sustain and extend the range of youth work on offer. 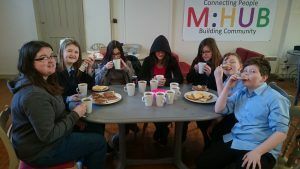 The funding contributed towards employing a part-time youth worker, which enabled the charity to establish new projects and explore the issues important to young people, as well as teaching them about staying safe, health and wellbeing, making positive life choices and being active in the community. One youngster was referred to KEY because of his anxiety and was struggling to make friends. The youth worker was able to persuade him to join one of the after school activities. He went along with this father and enjoyed it so much, he now attends all the activities on offer. He is now on the decision-making team; deciding on activities, fundraising and programme planning. Youth Worker, Emma Banks, said: “Since breaking out from the safety of home and school, I have seen his confidence grow hugely in such a short period of time. He is for the first time commuting to the activities on his own, engaging with others in a positive way, trying new things and enjoying the challenges new experiences bring.